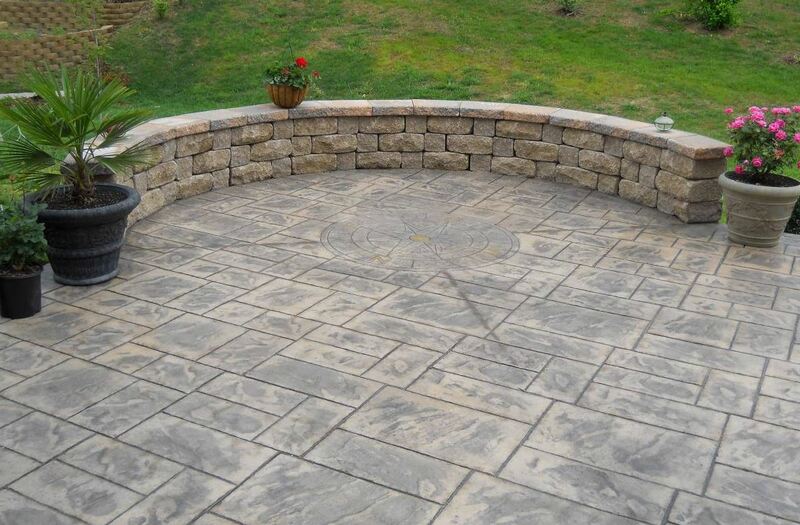 Whether you need a new decorative or stamped concrete patio put in, or you're looking for a contractor who does repairs and resurfacing to old driveways in Norfolk, VA we're hands down your top pick. Our company does free in-person quotes and will even give you an approximate cost estimate over the phone. We also provide a wide variety of different services ranging from paver installation all the way to pool decking so don't hesitate to contact us for any of those as well. If you need to do work with concrete, you won't want to handle everything yourself. You may be able to rent a concrete mixer or other types of equipment, but that doesn't mean that you will know how to use that equipment. You'll be much better off if you hire professionals that can do the job for you. ​Here's are some of the benefits to hiring our concrete company in Norfolk, VA.
Once concrete dries, that's it's. You're stuck with what's left. If you want to fix any issues, you may have to put down new concrete. If you're in a position like this, you'll want to make sure you handle the job correctly. You should make sure that you leave the job to professionals that won't make mistakes. Accidents happen, but you don't want them to happen when you're working with concrete. If you're worried about finding a company that is qualified for this job, you don't have to be. There are excellent services in this area. You should be able to find a company that is more than capable of handling the job. If you start exploring some of your options, you'll see that there are some terrific choices out there. You can find someone in Norfolk that will be able to accomplish the task that you present in front of them. A lot of people are reluctant to hire professionals because of the cost. While you will have to pay the pros for the work that they do, you might not have to spend as much as you think. There's an excellent chance that you'll be able to get a fantastic deal. If you have a budget that you want to stick to, you should try calling some companies and asking them for estimates. If the price that they quote you seems a little too high, you shouldn't be afraid to haggle. If you're lucky, you'll be able to score a better deal. You may not even have to make a phone call if you want to hire, just press a button. Some companies will even allow you to take care of everything online. You can schedule an appointment or talk to someone without ever dialing a number. If you want to hire someone to help you, then you can do it without any hassle. Start looking into the companies in this area, and you'll see how easy it can be to hire someone. If you're worried about the quality of the work being done, you shouldn't. Some businesses even offer a guarantee on their work. If there is a problem, then they will make sure that the issue is resolved. You don't need to worry about what might go wrong. When you trust a job to real professionals, you'll know that everything will be taken care of. They'll get things done right the first time. If there are any problems, then they will work hard to take care of them. You'll be more than happy with the work that is done for you. As you can see, there are plenty of reasons to hire a local company. If you need help with your concrete, then you should start contacting some of the companies in the area. Whether you need to fix your sidewalk or want to install concrete counters, you'll want to work with a company that can truly help you.